Paradoxically, while globalization, technology acceleration, and digitalization are connecting us, we’re becoming more divided and “tribal” at the same time. It’s not easy to bridge “opposites” such as the more individualistic West and the more collective East — it requires deep thinking, self-reflection, mutual respect, and patience. An ambicultural movement means going deeper than organizational or industry practices, or societal issues, to the core humanity level. There are some organizational models of ambiculturalism. One of my favorites is Lincoln Electric, an American multinational industrial firm. The company has balanced tradition with entrepreneurship and individual interests with social welfare throughout its 125-year-old history. I like to tell the story of when I was working with a Fortune 500 firm in the US and presented Lincoln as a model organization. As the end of our discussion, a senior executive exclaimed, “They are practicing the best form of capitalism!” A month later I was in Beijing working with executives from some of China’s leading state-owned enterprises, and after the same presentation one manager remarked, “Lincoln Electric is a perfect socialist enterprise.” My own interpretation is that Lincoln Electric is an ambicultural archetype that was founded on — and has stuck to — principles of human commonality that span nations and cultures. The result has been more than a century of success for its stakeholders. 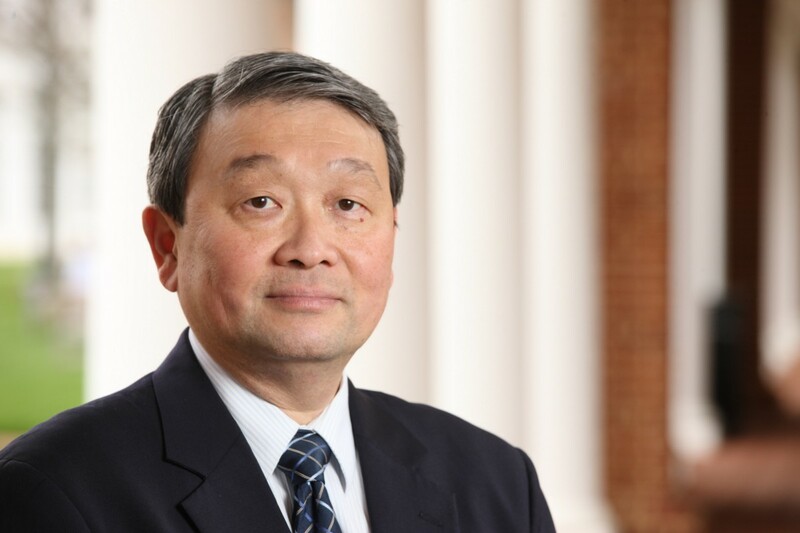 Ming-Jer Chen, the Leslie E. Grayson professor of business administration at Darden School of Business/University of Virginia, is an academic entrepreneur and business educator who aspires to make the world smaller by passing wisdom and knowledge from the past on to future generations. He is known for his pioneering work in competitive dynamics — how companies compete and collaborate worldwide — and ambicultural management — how organizations and managers integrate the best aspects of seemingly oppositional business cultures and practices. 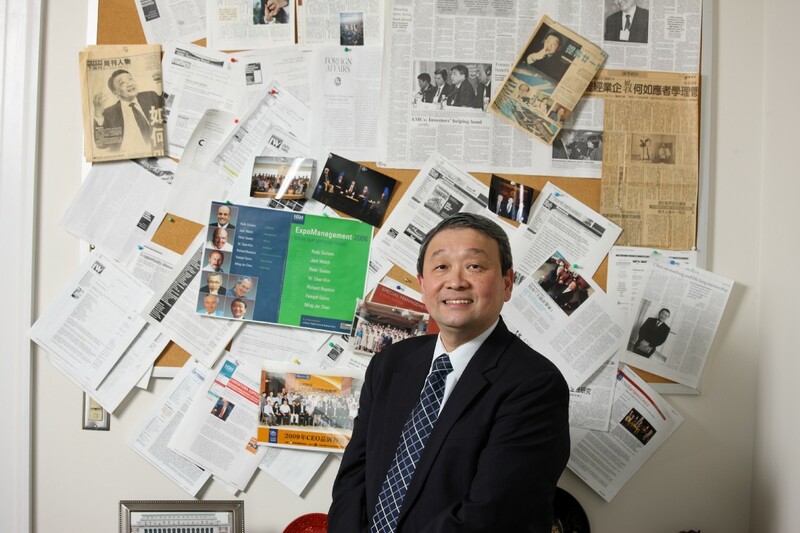 His work has appeared in global media including Financial Times, Foreign Affairs, The Wall Street Journal, and The Washington Post, and his corporate clients include FedEx, Morgan Stanley, Rolls-Royce, and Tencent. I had the pleasure to interview Ming-Jer to discuss his views on the challenges and opportunities of doing business in China. A few years ago, with the vantage point of hindsight, it became clear how my younger years, even before my higher education, had set me on the course that I eventually followed in life. I grew up in the 1960s in one of the most underdeveloped towns in a remote corner of Taiwan. Because of this isolation, I formed a self-image as an outsider, someone always on the margins. This “marginal” perspective honed three characteristics that still define me today: a survival instinct, an ability to overcome resource constraints and cultivate alternative ideas that challenge the status quo, and a drive to connect people on the margins with those in the mainstream. At the same time, I had a keen interest in international affairs and was drawn to journalism, and in fact reading newspapers was a favorite preoccupation of mine even as a child. I balanced this mental activity with active participation in competitive sports. In everything I did, I was constantly analyzing the arena from a strategic viewpoint. These were the roots of my lifelong interest in competing and cooperating, whether in business, geopolitics, team sports, or human affairs. When I came to the US for my doctorate at the University and Maryland, and began my professional academic career at Columbia and then Wharton, all these traits became critical as I helped develop the strategy subfield of competitive dynamics. Competition was not a new topic. It had been tackled by renowned economists and thinkers, from Adam Smith to Michael Porter. My contribution was in bringing a novel interactive or dynamic perspective to competition at the micro, firm-behavioral level where companies compete head to head (and cooperate). This approach can be applied to other levels and arenas, such as competition between (and across) different business ecosystems and nations. In hindsight, the characteristics that crystallized in my youth combined with a later holistic worldview and East-West training in strategy to allow me to shape the topic of “competition” in new ways. Are you working on any new or exciting projects/research now? The projects I’m most excited about focus on the flip side of the competition coin — cooperation. Most recently, I have been concentrating on bridging Eastern and Western business and academia through an “ambicultural” approach. In the ambicultural perspective, entities that appear to be opposites or irreconcilable can be integrated by “separating the wheat from the chaff” — that is, by extracting the best of each to produce an enhanced result. The ambicultural mindset can bridge gaps between organizations, cultures, societies, or individuals. Outcomes of ambicultural endeavors range from better products and services to enlightened management practices and enriched human behavior. My one “big idea project” at the moment is to develop, disseminate, and put into practice the concept of ambiculturalism. A book I’m writing on the application of this idea in business extends my recent work on the ambicultural integration of competition and cooperation. I also published two companion articles this year on the “oneness” of research and teaching, and scholarship and practice, a longtime interest of mine as a scholar-practitioner. Last, I am finishing an anthology-style book project translating my collective works in English into Chinese. The series will consist of two books on competitive dynamics, one on ambicultural management, and one on the topic of “passing the baton” to the next generation of business and academic professionals, another subject that has been close to my heart throughout my career. The direction of my current writing is a bit more practice-oriented than my previous scholarly work, but all my work is geared toward advancing a lifelong mission of “making the world smaller” by providing a balanced voice and connecting people and cultures of different communities. No one is able to achieve success without some help along the way. Is there a particular person who you are grateful towards who helped get you to where you are? Can you share a story about that? The Chinese believe that a scholar is responsible not only for teaching and education at all levels but for manifesting the ethical standards of a society (or a true global community in today’s world), and for passing these mores on to others and future generations. I had the immeasurable benefit of learning “at the feet” of several such humane scholar-practitioners in the East and the West. For the Chinese, acknowledging the debt one owes to mentors is a time-honored tradition, so identifying only one may be impossible! Let me describe two East-West mentors without whose teaching and example I would most certainly never have arrived at this point in my life. The first was Master Aixinjueluo Yu-Yun, a nephew of the “Last Emperor” of China. Under his tutelage I read all the writings of the illustrious philosophers from the height of ancient Chinese civilization (772–222 B.C.). For example, I was immersed in the works of Sun Tzu and the various interpretations of his writings, which later deeply influenced my research in competitive dynamics. Master Yu-Yun taught for more than 60 years in Taiwan, until the time of his death at the age of 106. 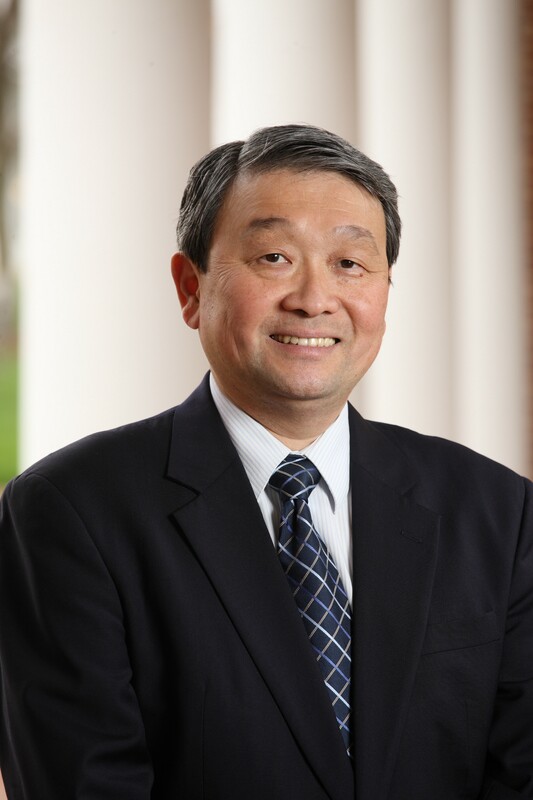 In addition to educating scholars and other professionals, including a former premier of Taiwan, he mentored renowned American sinologists such as the late Frederic Wakeman, Jr., UC-Berkeley; Nathan Sivin, University of Pennsylvania; Donald Munro, University of Chicago; and Peter K. Bol, Harvard. The other cherished mentor who helped launch me on my professional trajectory was William H. Newman, whom I met when I joined the Columbia Business School faculty. Bill was a colossus in the management field, a visionary practitioner-turned-academic who cared deeply about business and international affairs. The sixth president of the Academy of Management, he started his business career as a protégé of James McKinsey before going on to distinguished tenures at Wharton Business School and Columbia. Of my mentors in the West, Bill possessed the most Eastern sensibility and was the most forward-looking — he truly cared about the next 50 years, not just the near horizon. A few that come to mind are artificial intelligence, mobile technologies and fintech, tourism, the Internet of things (IoT), and education. In 2017, China spent more money in AI than the United States, and it aims to be the world leader in artificial intelligence by 2030. Other potentially enormous untapped markets are renewable energy technologies, such as wind and solar power, and electric vehicles (green energy is an area where China also aspires to be the world leader). Education is a market I find particularly intriguing. Investment in the education sector in China is growing and can be expected to boom for two main reasons — demographics and national strategic initiatives. With China continuing to shift from exporting to domestic consumption and from low-end manufacturing to high-value goods and services, an enormous middle class, now comprising several hundred million people, has developed. As it moves up the social and economic ladders, they are demanding better living conditions and finer food, are travelling more and consume more entertainment and luxury goods — and they want better education. In recent history, the East-West education direction has been one-way: Chinese students came West. There are about 350,000 Chinese students studying in American colleges today, paying an average of about $50,000 tuition per year. But with the rapid pace of change in China, young people are finding that if they are away for a few years studying in the West, they may lose contact with their networks at home, and reintegrating is challenging. After an enormous investment in their education, combined with the US-China trade issues and hostility (perceived or actual) toward Chinese students in a growing anti-intellectual environment in the US, the return on investment for many Chinese students is seen as diminishing. Therefore, if their future lies in China, where relationships are critical, more Chinese students are deciding to attend university in their home country. And from the standpoint of international competition, the goal of the Chinese state is to cultivate global citizens while keeping Chinese students connected to their humanistic and cultural foundations. So, what is the upshot of expanding education markets in China as a next “big thing”? Many Western universities are entering into partnerships or joint ventures with Chinese universities. Some examples are Duke Kunshan University, New York University Shanghai, University of Nottingham Ningbo China, and Xi’an Jiaotong-Liverpool University. Let’s keep the focus on the education example to illustrate obstacles. Cultural and economic challenges are complicated by political factors. The escalating trade disputes between Washington and Beijing has increased the risk for university partnerships operating in China, but there are many other considerations as well. For one example, in any application to set up a JV university in China, a 2017 directive requires foreign educational institutions to include a clause that supports the establishment of an internal Communist party organization. This is the type of contingency that Western institutions and organizations may find hard to adapt to. In the big picture, as China continues to re-emerge economically and politically and makes quantum leaps in technological advancement, some global players may not be adaptable, despite many years of “warning.” And from a philosophical and practical, or business, standpoint, will China and the West be able (or willing) to engage in a “zero sum game” and opt for a “win-win” for the sake of global development, peace, and prosperity? These two contrastingly different sociopolitical systems should learn how to coexist and compete-cooperate in the years and generations to come. With my understanding of the history and culture of both China and the US, I believe the global stage is big enough to accommodate both countries playing to their respective strengths, for the benefit of humanity. 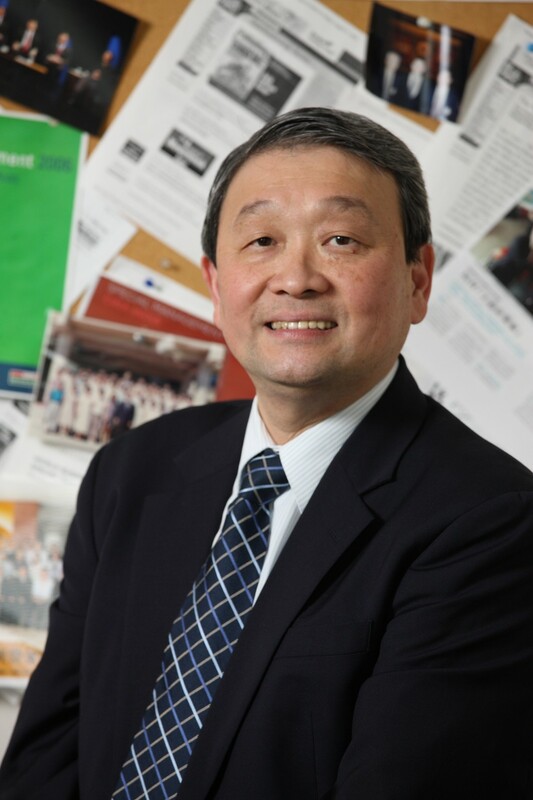 Considered from China’s viewpoint, however, the challenge of advancing new markets like education arises from a simultaneous push on two seemingly conflicting fronts: continuous globalization and openness across a range of arenas (such as education and business), and systematic and persistent efforts to reconnect modern China with its rich history and culture. What are the top challenges of doing business in China and how did you overcome them? The biggest hurdles for Western firms and managers are largely the same as they have been for a decade or more: institutional and regulatory constraints, and cultural differences. Many companies run into trouble on three related fronts: they underestimate the importance of being truly respectful and expressing humility (and genuine openness), they fail to understand the rules of engagement from the local historical and social perspective, and they seek to impose their will and system in a country with a long and proud history and unique customs. In the West, businesses typically champion their own best practices and seek to apply them in other countries. But in actuality there is no set of universal “best practices” across different cultural contexts. Two ways for Western (or any foreign) managers to overcome obstacles in China are to seek to close the asymmetrical knowledge gap that is resulting from a disparity in the flow of students and knowledge between East and West, and, second, to find compatible, trustworthy local partners. Companies that have thrived in China have done these things well by following what I call the culture-strategy-execution “trio model.” Culturally, they hire managers who understand Chinese culture and know how to navigate locally. Strategically, they develop unique business models taking into consideration cultural, economic, and political factors as well as their local consumers. And from an execution point of view, they identify employees who can manage relationships and have the ability to get things done without “stepping on toes,” or making cultural or political transgressions. An unwritten practice Westerners often find challenging is the custom known as “guanxi,” the system of interpersonal relationships or social connections, especially to people with power. Chinese business culture is relationship-based, and the centrality of connections is evident in everything from communication to strategy and negotiations. Guanxi intersects business and personal arenas and is critical because it is the key to accessing resources and capital. Opportunities are disproportionately unequal for people who have fewer connections with the upper social, political, and economic strata, and understanding the ins and outs of guanxi is essential not only for the Chinese but for foreign firms. A brief background on how the system developed sheds some light on the custom. As modern China emerged, its legal system, by Western standards, was far from established. In its place, people formed relationships with no explicit rules delineating what was permitted and what was prohibited when doing business. In short, the Chinese opted to bypass a legal structure that did not serve their needs. As Western businesses continue to enter China, guanxi is becoming demystified and more familiar (and at the simplest level might be understood as a cousin of the so-called “old boy network” in the US). We keep hearing about the “Trade War”. What are your thoughts about it? This is the 64-thousand-dollar question — or the 640-billion-dollar question! Actually, there are two big questions: What will be the overall benefits and costs of the so-called trade war? And will the US focus on short-term economic benefits sacrifice the soft power America has built up since World War II, a formidable advantage that has made the United States the most respected global leader over the past 70 years? It is worth noting that the current US-China “trade war” is very much a product of its time, with objectives that are as much political as they are economic; also it reflects only one aspect of competition across a range of arenas, from technology to military. Outside of China, some see evidence of a new order emerging in agreements like the revamped NAFTA deal (now the United States-Mexico-Canada Agreement) and Japan’s recent agreement to trade talks, after years of resistance, to protect its automakers from potential US tariffs. In the global picture, the reality may be that the world has become so interconnected and interdependent that the US, regardless of trade actions or trade partners, no longer has the capability and resources to dictate how international business is conducted. However, it’s safe to predict that the implications of a US-China trade rivalry will ripple into business competition among firms in many global arenas. And regardless of the cause or dimensions of a “trade war,” the situation is creating uncertainty in the existing global trading system and tensions in cultural and social interactions. Ultimately, it will be in the world’s best interest to avoid falling into a modern “Cold War trap” (a caution raised also by geopolitical authorities like Colin Powell and Madeleine Albright). There is another, less-obvious danger. With interest narrowly focused on rivalries and trade disputes, we risk overlooking the flip side of the competition coin: the opportunity for cooperating that takes place in engagements. Let’s go beyond competitive-dynamics thinking to look through an ambicultural lens. An ambicultural approach aims to integrate the best of competitors — companies, countries, or regions — in a solution that works to the benefit of all. The challenge in the context of trade is how to bridge the gap between parties like the US and China before it becomes a chasm. From the ambicultural perspective, we would to look to each side, or all parties, to find mutual benefits so they can work together toward a goal and a joint plan that transcends differences. In the new order as it appears to be emerging, this is increasingly complex because differences are being exploited to create greater divisions. Some final thoughts. Is an American economic system that is geared to short-term thinking and results — on a horizon of four to eight years tied to election cycles — prepared to deal with a Chinese system that stresses continuity and longevity? One of the strategies China might employ would be essentially to do nothing and “ride it out,” not engaging the US while allocating its resources to develop other part of the world. We are already seeing this happening in Europe, Southeast Asia, the Middle East, and Africa. As mentioned previously, the biggest challenge to the US and the West overall may be the asymmetrical culture and knowledge advantages China will possess as a result of Chinese students studying abroad, who have learned the local culture of their host country. By comparison, Western countries have only a small percentage of students studying in China. How will they close the knowledge gap? Finally, are the US and China engaged in a trade “war” or a series of trade “battles”? What will be the role of institutions like the World Trade Organization? In the ambicultural view, we should keep an elevated ambition in mind: harmonious relations at all levels of engagement will serve the whole world, not just individual nations, best. What is your favorite “Life Lesson Quote”? How is it relevant to your life? One of my favorite expressions is “Put yourself into the process and the process will see you through.” I have passed this on to every student I have taught, from MBAs to senior executives and rising professional colleagues. The idea is to take the first step, get into the stream, and see where it will take you. In life, it is very difficult to control the outcome but much easier to get yourself into the process. We can never know how far we might travel unless we begin the process, and trust in it. This has been my guiding light in all my endeavors. By following it closely, I have been able to forge new fields of research in business management as well as find happiness and satisfaction in my personal life. If I could mention another of my “life lesson” maxims, it would be one I distilled from my East-West mentors: “Be yourself, look from the other’s viewpoint, and aspire steadfastly to the highest levels of integrity and dignity.” This is simply a different way of expressing empathy and what I refer to as “acumen,” or understanding one’s competitor (or collaborator), in competitive dynamics. This principle has helped me, and those I teach or advice, to think clearly in situations of confusion or when facing daunting professional challenges. Inspiring an ambicultural movement has the potential, I believe, to do an enormous amount of good within organizations and across national borders, especially in the current era of increasing division and separation. This is the movement I am advancing. It requires transcending differences, whether in business, politics, or personal life. For companies, cultures, and societies in the future, combining the best of diverse ideas and practices that appear to be in opposition will be the single most essential “skill” to possess, if the world is going to evolve and advance. In light of the uncertainty and instability the world faces today, it is time to find this balanced voice. Paradoxically, while globalization, technology acceleration, and digitalization are connecting us, we’re becoming more divided and “tribal” at the same time. It’s not easy to bridge “opposites” such as the more individualistic West and the more collective East — it requires deep thinking, self-reflection, mutual respect, and patience. An ambicultural movement means going deeper than organizational or industry practices, or societal issues, to the core humanity level. There are some organizational models of ambiculturalism. One of my favorites is Lincoln Electric, an American multinational industrial firm. The company has balanced tradition with entrepreneurship and individual interests with social welfare throughout its 125-year-old history. I like to tell the story of when I was working with a Fortune 500 firm in the US and presented Lincoln as a model organization. As the end of our discussion, a senior executive exclaimed, “They are practicing the best form of capitalism!” A month later I was in Beijing working with executives from some of China’s leading state-owned enterprises, and after the same presentation one manager remarked, “Lincoln Electric is a perfect socialist enterprise.” My own interpretation is that Lincoln Electric is an ambicultural archetype that was founded on — and has stuck to — principles of human commonality that span nations and cultures. The result has been more than a century of success for its stakeholders. A related “micro-movement” I’m focused on is integrating teaching, research, and practice in academia. I believe there is a need for a major overhaul or paradigm shift within Western business academic institutions, or even a change of “mind” (or even “soul”). Altering the prevailing publish-or-perish research orientation calls for institutional, system-wide changes at the grass-roots level. One part of this initiative is to identify examples or role models that show “what is possible” (a notion I use to wrap up my MBA/EMBA teaching), and how business academics can make research meaningful to the widest range of stakeholders, especially practitioners. The push toward such a paradigm shift in business and academics is truly an ambicultural initiative in practice. Over the past 15 years or so I have founded several organizations in the East and the West to converge the two movements, such as annual Competitive Dynamics International Conferences (research- and practice-oriented), the Chinese Management Scholars Community (professional service), and the Oneness Academy (professional practice). My role in these international organizations and communities is fundamentally to “practice what I preach,” and my involvement in these “worldly matters” may ultimately have the greatest and longest-lasting effect on the most people. Indeed, one never knows what one’s ideas will spark in others. But if we trust in the process of all endeavors, with mind, heart, and soul, we will have done our job, and history will be the judge!